It's been a growing concern and a growing crack for many years now, ever since the widening fissure was first spotted and swiftly monitored by eagle-eyed volunteers in 2012. This year, an automated monitoring system was installed and in September began to show accelerated widening in the gap between the top of the crag and the teetering 500 tonne boulder slowly peeling away. The below post on Instagram from Dom Bush of Land & Sky Media in early August shows the scarily large crack before its rate of expansion started to rapidly increase in September. Despite the gap expanding even more quickly, there was still no way to know when it would eventually fall, and so climbers were advised to stay away from the crag. But now the boulder has toppled, the potential for new routes will soon be available once any danger of further rock-fall has passed. The photo below shows the huge scar that has been left behind. 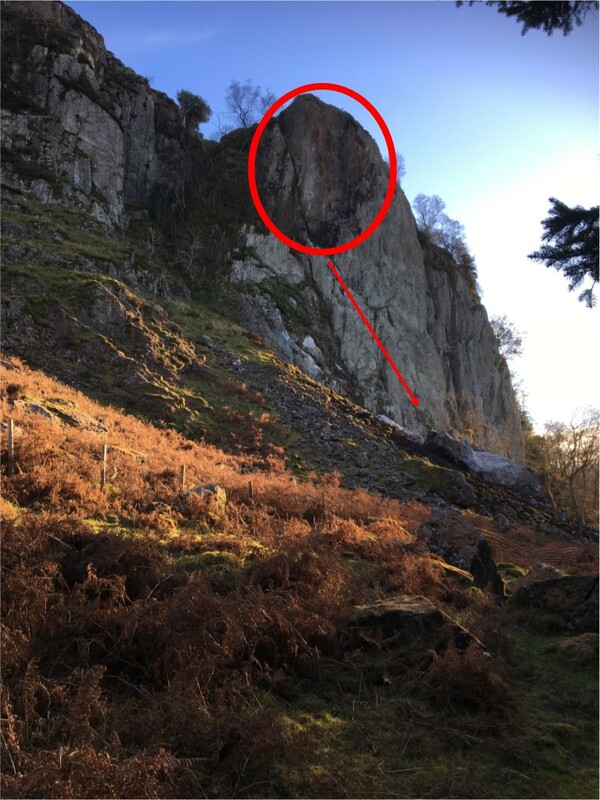 Rob Dyer, BMC access and conservation officer, says: “United Utilities reported today that the large block at the top of the North Buttress of Castle Rock of Triermain in the Lake District, which has been showing signs of slumping for several years, has finally fallen. Fortunately the falling rock hit the scree slope under the crag and came to rest before hitting any buildings below. “The block has been monitored since 2012 with a crack clearly visible and gradually widening over time. In April 2018 an automated monitoring system was installed by Newcastle and Durham Universities which showed acceleration in the widening of the crack in September 2018. Even with this monitoring system in place, it was impossible to predict for sure when failure would occur. Although it was definitely moving and the block would eventually fall, there was no way to know whether that would be this week, this decade or longer. nature decided to rage a little. The main thing is that no one was hurt and everyone was warned. such things happen sometimes it is important to just behave correctly. 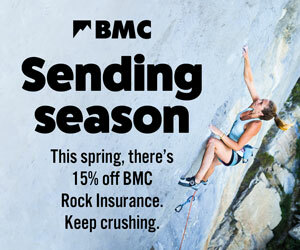 <a href="https://www.climber.co.uk/skills/alpine/starting-out-in-alpinism.html">Here</a> you can find out some advice.